In business and economic domain, the one factor that determines the growth and productivity of the firm is its manpower/workforce. All other factors say technology, training, capital, etc. are infused to enhance the productivity of the employed workforce and hence to enhance the input to output ratio via an efficient workforce. Thus, it can be said that the workforce stands at the core of the functioning of any business firm. When we talk about manufacturing firms then the significance of productivity becomes all the more important as the rate of production is a key factor in determining the growth of the business. In manufacturing (as well as in other domains) it’s as important to maintain the supply and demand of workforce as is their training and efficiency enhancement. With business expansion, the demand for manpower increases and thus timely induction qualified personnel becomes necessary to keep on the momentum of growth. To keep the momentum of growth ongoing for the firms in the manufacturing domain and to help them get timely staffing solutions, manufacturing staffing agencies work day in and day out. Manufacturing staffing agencies with all their experience bring in the perfect staffing solution in sync with the demand floated by the client. To outsource recruitment services is thus, a preferred option for manufacturing firms as they are assured of timely assistance and support. Alliance recruitment agency as a premium manufacturing staffing agency has placed over thousands of job seekers in various roles and position in the manufacturing domain. With a client network spanning Pan-India and abroad we provide assured and desired services to both the employer and the job seekers. Outsourcing of services is not a new thing in the business domain. From the Business process, legal process, to knowledge processes outsourcing all kind of services are outsourced. For firms with wide operation base engagement in core activities is more important and hence outsourcing of additional services comes as a natural choice. This, act a savior of time, money and resources and leaves the task in hand of a dedicated agency that has experience of performing that respective function. Outsourcing of recruitment solution or recruitment process outsourcing has become the latest addition to the outsourced services listed. Well, why not it should be, firms involved in manufacturing domain hardly get a time off from their core operations to shortlist, assess, interview, assist and bring on board the desired candidates. Alliance recruitment agency offers all this and much more to its clients as a manufacturing recruitment agency. We, assure you of delivering services that can add value to your business. Our dedication and professionalism are our USPs. We at, Alliance recruitment agency we have been serving to the needs of our clients in manufacturing and other domains since a long time. The pan-India and global network of professional recruiters makes us the perfect choice for delivering to your manpower needs. 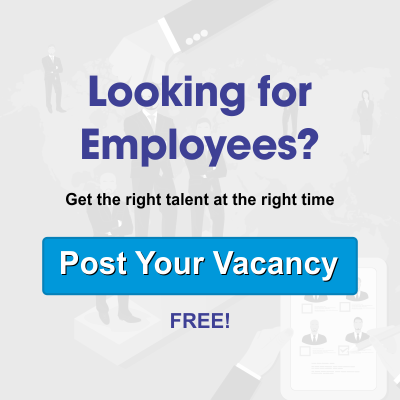 Jobseekers looking for job opportunities in manufacturing firms and manufacturing firms looking for manpower recruitment services can visit our website https://www.alliancerecruitmentagency.com and register their inquiry. We extend timely job updates on our website for the benefits of job seekers.